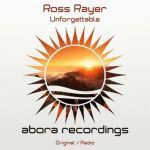 Abora Recordings is delighted to introduce a stunning release, born from the collaboration of the two Russian masterminds Tycoos and Sandro Mireno. This is "A Place Where Love Is Born". The smooth melodies that emerge from this release will surely remind you of the golden age of trance. With its positive energy and stomping beats and basslines, Tycoos and Sandro Mireno crafted a masterpiece that will get stuck in your head for hours or days! The orchestral mix is a true gem and will surely give you thrills from head to toe! This release also includes an intro mix and a radio edit.